As with all surgery, there is some tenderness immediately after the procedure, but most pets will recover very quickly. We administer pain relief prior to surgery and after surgery too. Prevent your pet from licking or chewing the wound. 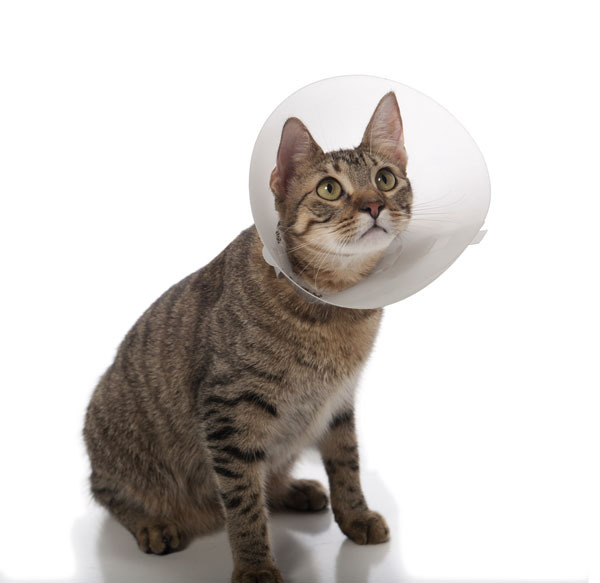 Special cone-shaped collars assist with this problem. Ensure you return to us on time for routine post-operative check-ups.